Prior to co-creating ManaCare Health, Keith spent ten years in healthcare sales and administration, where he helped assist physicians, independent laboratories, and other healthcare companies improve their businesses to maximize the quality of care for patient outcomes, while lowering the overall cost of treatment. Keith has experience with almost every avenue in laboratory testing including toxicology, hematology, chemistry, immunoassay, molecular genetics, pharmacogenomics, pathology, histology, and more. Other healthcare areas he has led include ancillary services, specialty pharmacies, surgical hospital development, and physician group management. Keith completed his undergraduate studies in Actuarial Sciences and Math at The University of Connecticut. After that, Keith was an offensive center and guard in the National Football League before stepping into the healthcare arena. 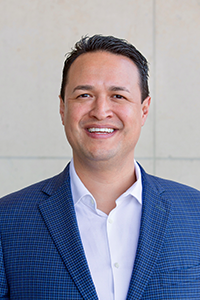 Prior to co-founding Quality Metrics Partners, Michael spent ten years in healthcare sales and management, specifically post-acute home healthcare, durable medical equipment, respiratory device, sleep and neurodiagnostics. Michael also served as a home health representative and participant in the Pioneer Plus Medicare Accountable Care Organization. Patient outcomes, statistics, healthcare business, and corporate level relationships are his forte. 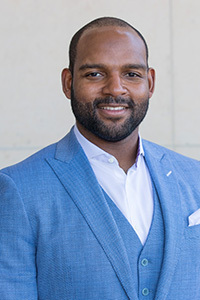 Michael completed his undergraduate work in Pre-Medicine/Science Studies at The University of Notre Dame as well as completed Post-Baccalaureate Business/Science studies at University of Texas at Arlington. Michael enjoys spending time traveling with his wife and three children. 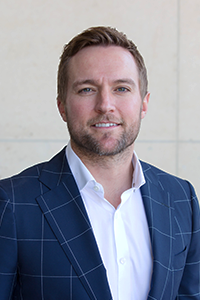 Prior to co-founding Quality Metrics Partners, Brodie spent time as a portfolio finance manager for D3G Capital Management, a sub-advisory firm under Beal Bank and CSG Investments. Managing $900 Million in assets, he perfected his finance acumen and built a substantial network of entrepreneurs throughout North America. Prior to spending time as a portfolio finance manager, he spent two years on the PGA tour as a caddie for golfing superstar Anthony Kim. Brodie graduated with an Economics degree from the University of Oklahoma while winning the Big XII Golf Championship. Brodie is currently active in other ventures including sitting on the board of Thermal Farms, a legal cannabis farming operation outside of Eugene, Oregon while pursuing ways to bring plant based medicine and healthcare closer together.